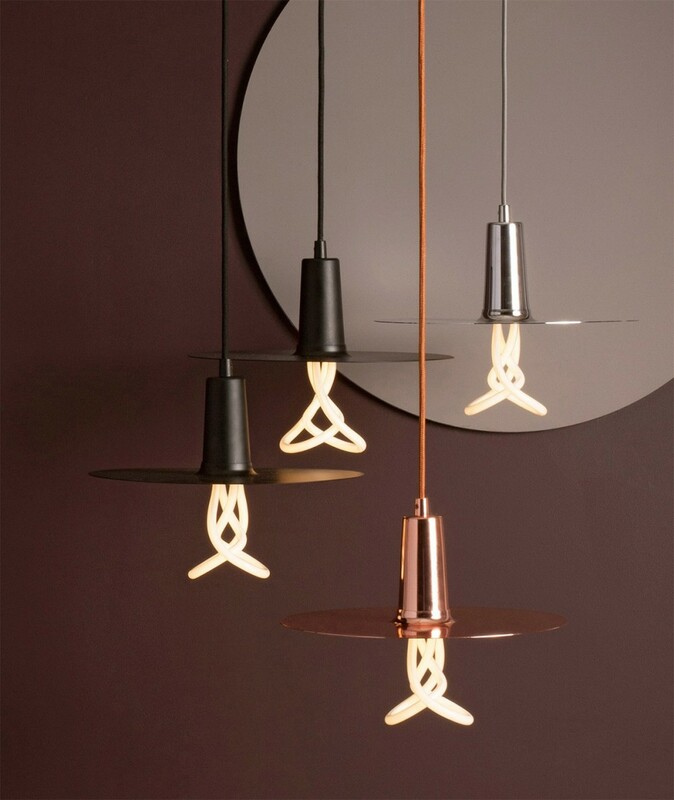 Abstract: Plumen LED bulbs are sculptural lighting pieces that fuse art with technology. Exploring the interplay of distinctive geometric shapes and visually intriguing glow, these energy efficient designer light bulbs provide a big wow factor with minimalist aesthetics. For most of its history, the light bulb has been a light source hidden in lampshades because of its absence of aesthetical integrity and/or the need to soften the light and control optical distribution. Many people take for granted that the light bulb is a commodity created exclusively for functional illumination and it has to be integrated with light fixtures to make lighting visually pleasing. 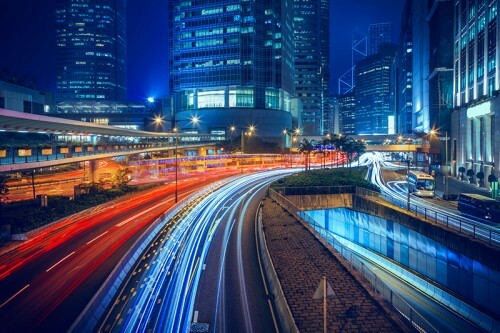 This perception has been increasingly reinforced ever since the emergence of compact fluorescent lamps (CFLs) and light emitting diode (LED) bulbs. These massively produced light bulbs come in standardized form factors and produce light through frosted glass or plastic diffusers. The dull regular shapes and unsexy illumination lead to a lack of decorative imagination, a shortage of artistic expression, or a deficiency in atmospheric statement. 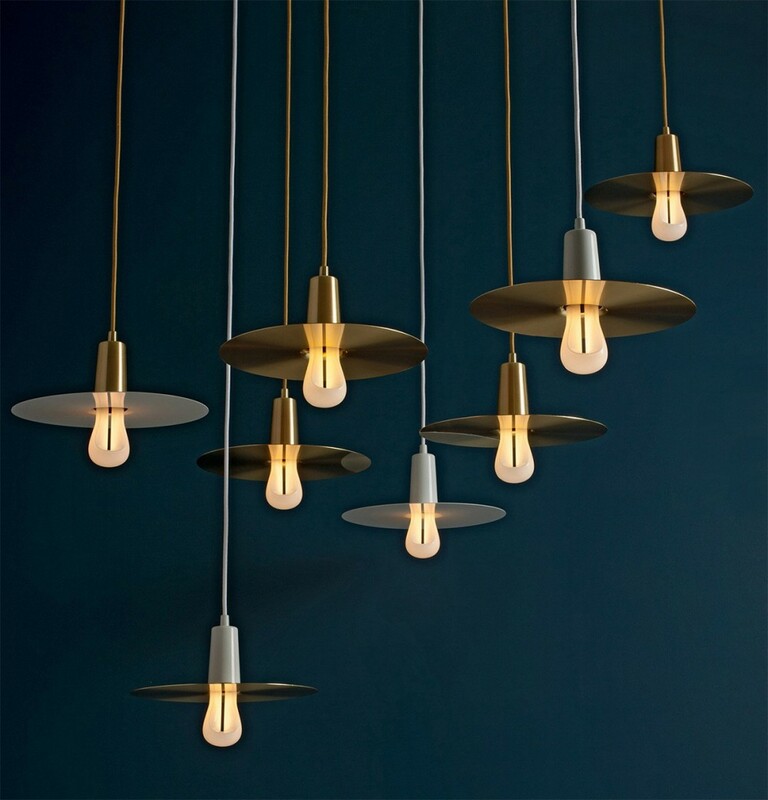 The rise of the industrial-inspired design and resurgence of minimalist decor styles make lighting designers cherish their memory in the look and ambience of traditional incandescent bulbs. The incandescent lamp has become a legend in the decorative lighting industry because it throws out a gorgeous quality of light and evokes an intimate look. Its elegant touch of warmth creates the aesthetic of the Victorian age. The raw beauty of the filaments upgrades the feel of any commercial or residential installation. However, we can not be caught in the past. 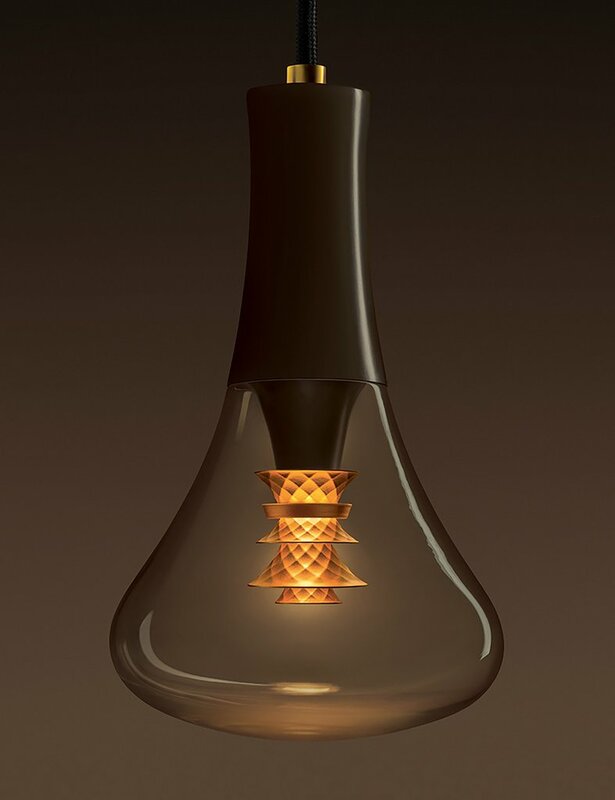 And given its decorative appeal, the intrinsic old-fashion nature and glare-producing tungsten filaments of the incandescent lamp challenge the creation of a lighting solution that retains the timeless look of incandescent lighting while offering a contemporary aesthetic and visually comfortable ambience. That's why the invention of LED filament bulbs, which combine the vintage elegance of incandescent light bulbs with the modern energy saving benefits of LED technology, does not completely address the need for furnishing the on-trend look of exposed lamping. 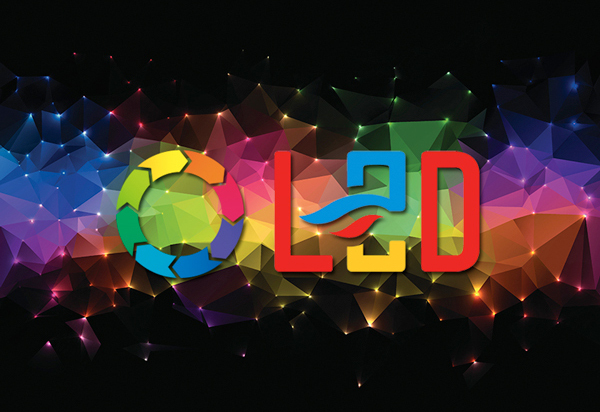 Consumer LED lighting seems to be deviating from its widely acknowledged traits as the market is flooded with dirty-cheap, poor-quality, short-liven LED bulbs, let alone the design-driven innovation. Isn't it abnormal that the bulb, an object so synonymous with ideas, is almost fading out of designers' toolbox? 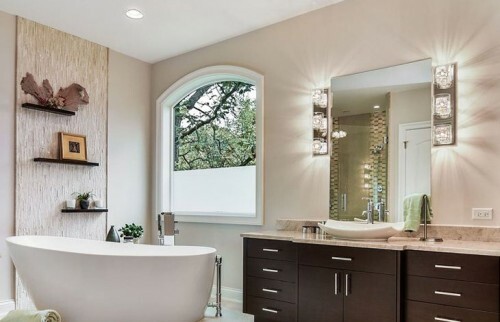 Bulb-centric fixtures are designed to put the minimalistic, sculptural form of the bulb on display and make a great centerpiece over kitchen islands, dining room tables, in the center of living rooms, home offices, and other hospitality, residential spaces. If the vintage styled filament LED bulbs fail to create the main point of interest in contemporary design schemes, is it no longer possible to make art live in everyday lighting with exposed lamping? Does it mean that meeting sustainability goals with LED technology has to be at the expense of striking design? The good news is there is an answer to the above paradoxes. 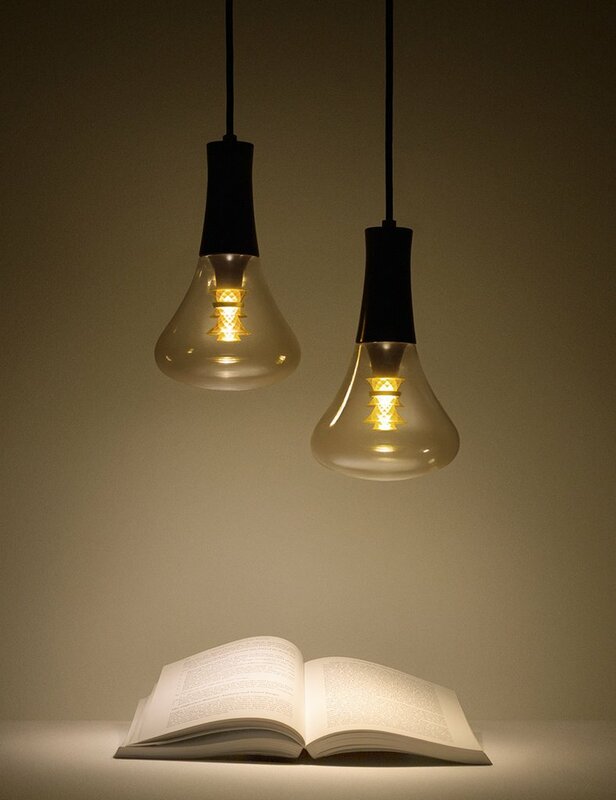 Plumen offers a distinctive range of LED bulbs that bring art and ambience together. The British-based company composed its name from a combination of beauty and function – 'plume' (in reference to the decorative feathers of birds) and 'lumen' (the standard unit of luminous flux which is the photometrically weighted radiant flux). Started in 2010 with design innovation in CFL bulbs, Plumen gives the light bulbs a unique character and undeniable glamor, transforming the everyday lamp into a true conversation piece. In the age of solid state lighting, Plumen fuses artistic design with sustainable technology to create more energy efficient, longer-lasting light bulbs that combine industrial influences with distinctive sculptural qualities. The captivating design language of Plumen light bulbs wins over even the most discriminating designers and trendsetters who toss out their lampshades and confidently show off the bare bulbs. Exploring the interplay of geometric shapes and visually intrigue glow, these energy efficient bulbs provide a big wow factor with minimalist aesthetics. 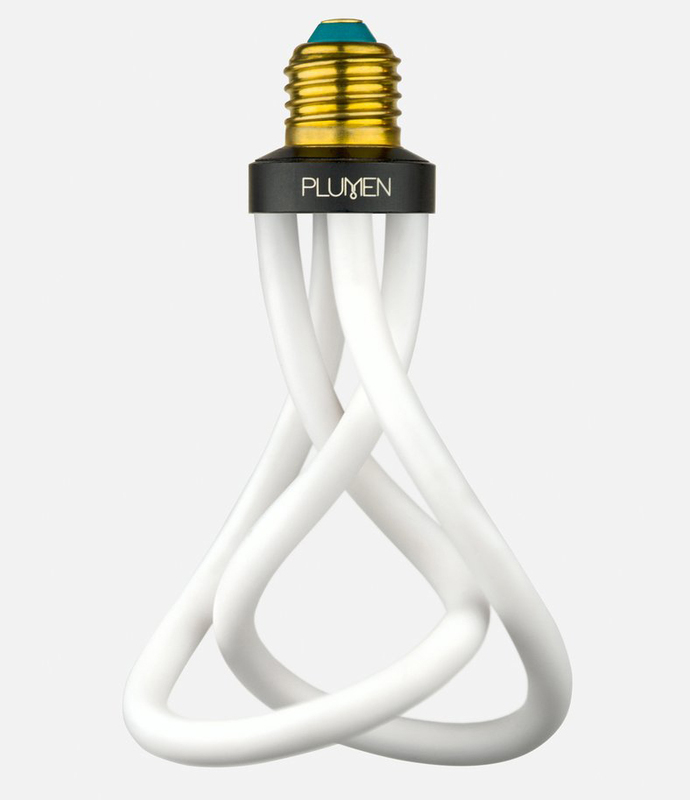 The Plumen 001 is the world's first designer light bulb that embraces the energy efficient technology. The original 001 was designed around the CFL technology with an intention to make a strong statement against the boring and utilitarian bulbs imposed as standard by big lighting manufacturers. The release of the product drew the attention of global press as well as being recognized by numerous design awards. The 001 has moved on from CFL to LED to keep pace with the advances in lighting technology. As either a single element or in series and clusters, the Plumen 001 LED features a dynamic, sculptured form that makes it an edgy, contemporary centerpiece, not an afterthought. The fluid and sensual loops made of blown glass tubes incorporate flexible LED filaments that boast a long operation life of up to 20,000 hours. Carefully engineered tubing diffuses the sharp lines of light into softly glowing light tubes. Visually comforting illumination makes the Plumen 001 LED outshine LED filament bulbs, of which the exposed LED filaments produce harsh glare and cause our retinas to contract, resulting in perception of darker or gloomier spaces. The designer LED bulb radiates in a 2700K warm tone that is perfectly suited to creating a highly desirable atmosphere for socialization and relaxing. The LED filaments are made with high quality phosphor that gives the Plumen 001 superior color rendering with a minimum 90 CRI. Optimized spectral power distribution allows the elegant LED bulb to bring out more vibrant colors and patterns, outperforming the majority of LED bulbs which render colors poorly with a 70 or 80 CRI. The Plumen 001 LED bulb consumes only 11 watts of power and produces a light output equivalent to 55W incandescent light bulb (720 lumens). 0-100% full range dimmability allows for fine-tuning of perfectly matching lighting atmosphere for any desired mood. 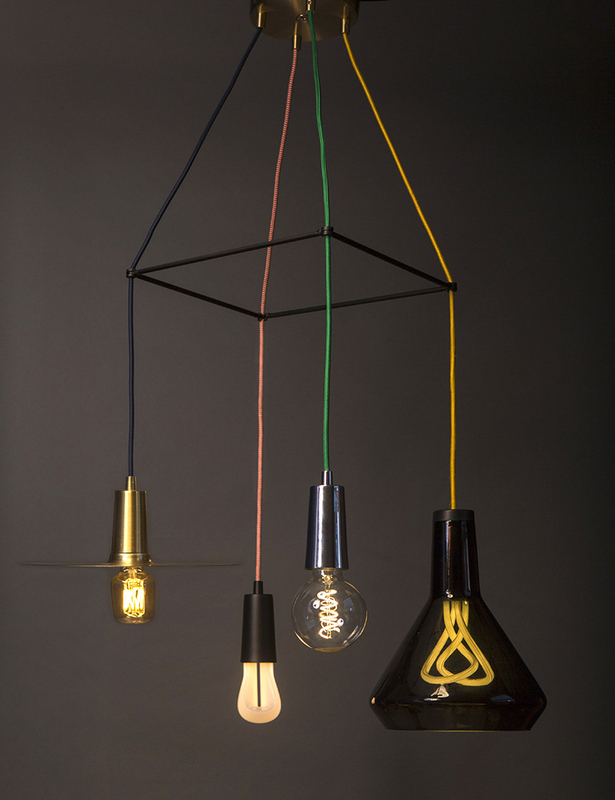 The Plumen 002 LED is upgraded from its CFL predecessor which was designed by HULGER and Bertrand Clerc. In contrast to the spectacular looks of the Plumen 001, the Plumen 002's subtle, yet dynamic geometry creates interesting resonances in the square and oblong spaces they will usually inhabit. The elegant connection of rather contemporary inner silhouette between the more traditional appearance of the outer silhouette results in a very three dimensional form that is sweeping and sensational from every angle. Embracing the poetry of light, the Plumen 002 works wonderfully alone, in series, each form echoing the next, or in clusters, either neat and regimented or loose and organic. The bulb is designed to create low intensity ambience and warm tones for those who enjoy the atmospheric glow of an Edison bulb with an energy-efficient twist. 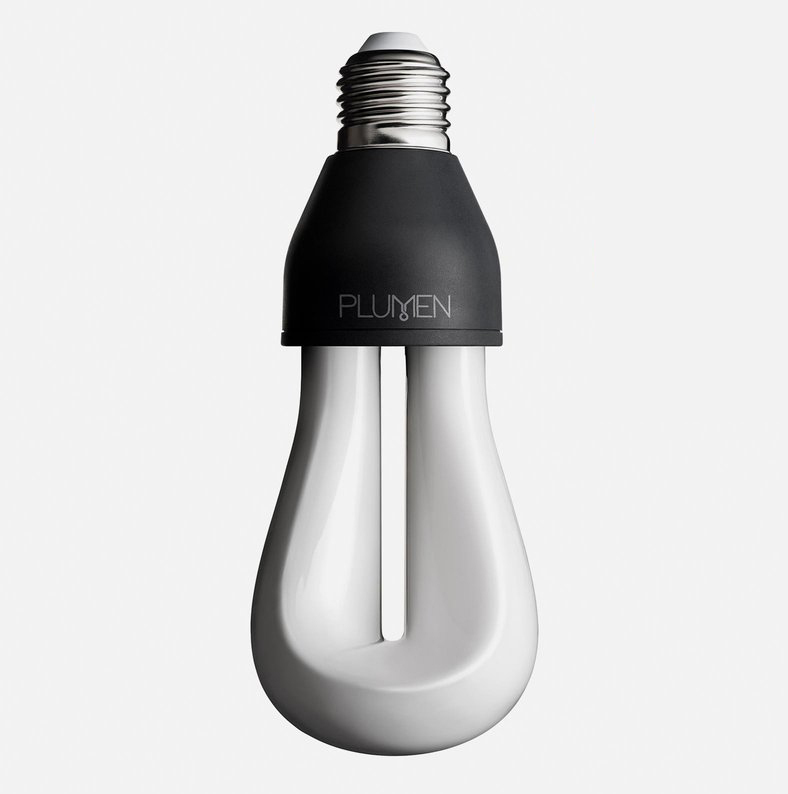 Equivalent to a 25W incandescent light bulb, the Plumen 002 LED produces 245 lumens of 2200K very warm white light (80 CRI) at 4W power consumption. The bulb is also dimmable and compatible with most trailing edge dimmers, allowing it to be used in many applications that require subtle lighting control to create the right ambience. The Plumen 003 is a stunning centerpiece that is capable of creating an atmosphere as the focal point of any interior. The LED bulb combines the functional illumination of a spotlight with the warm, flattering omnidirectional glow of a candle light. Like its sister models, the Plumen 001 and 002, the 003 is a work of art on its own. 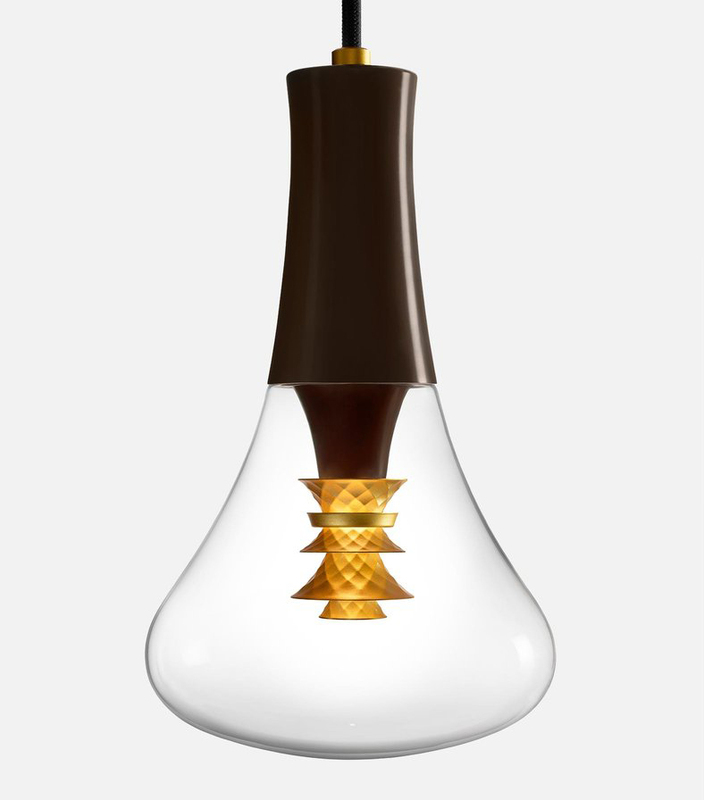 Thanks to the contribution from the French jeweler Marie-Laure Giroux, the designer bulb features an optical assembly which produces breathtaking accent lighting through multi-layered reflection and refraction. The intense LED beams are bounced off from the delicately faceted metal optics which look incredibly beautiful. The golden optical assembly sparkles like an intricately cut gem or an ornately crafted precious metal. The warm, glare-free, flattering omnidirectional glow conveys a comforting ambience to interior spaces. The downward spotlight produces a pool of light that is bright enough to illuminate a task, whether you’re working, reading, writing or eating. The 6.5W LED bulb produces 250 lumens of 2400K warm white light and works with most trailing edge dimmers. The minimalist aesthetics of the Plumen bulbs are completed and intensified by a suite of accessories, including lamp shades, fabric cables lamp holders, base covers, ceiling hooks, and ceiling roses. 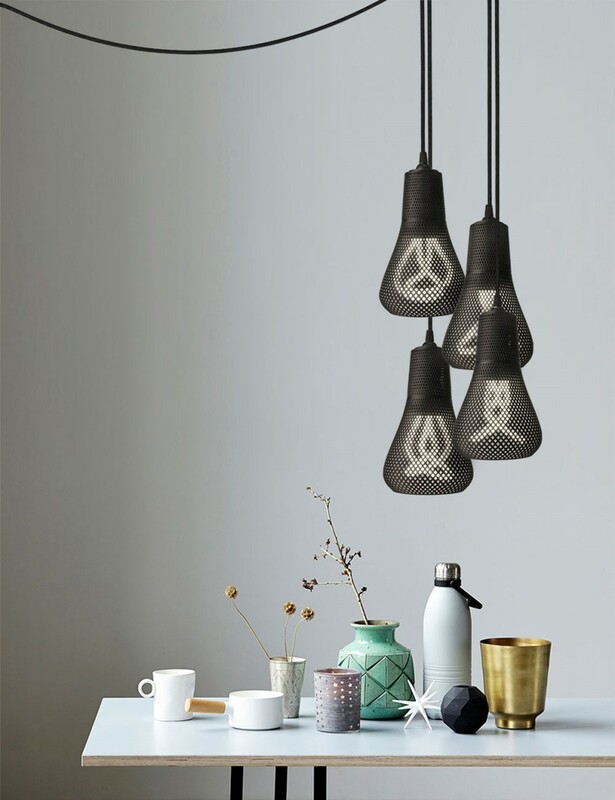 These designer lighting accessories seamlessly integrate with Plumen bulbs to create visually intriguing bulb-centric fixtures that transform any space into a showplace of timeless, understated, and sophisticated elegance. The Factorylux round fabric cables available in over 25 different colors paired with drop cap lamp holders allow lighting designers to effortlessly create bespoke Plumen lighting pendants that exude a dramatic blend of art and engineering. A selection of metal and glass shades takes Plumen bulbs into a new level of design excellence that perfectly exemplify the less-is-more ethos. The multi-port ceiling rose provides an easy-to-use solution for grouping clusters of pendants and creating your own Plumen chandeliers.